Ferris Wheel Combo Rentals | BounceGeeks.com Richmond, VA. This Ferris Wheel combo is really sweet! Talk about a cool bounce house combo, this is one of the best! 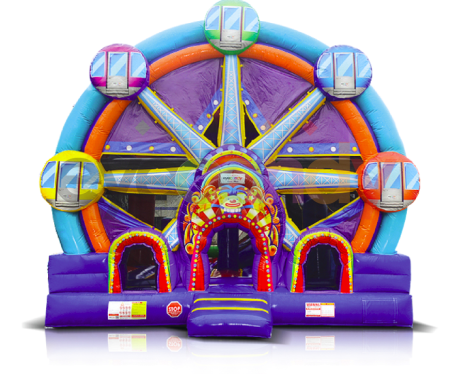 Towering at over 17 feet tall, everyone will want to check out this huge inflatable ferris wheel. 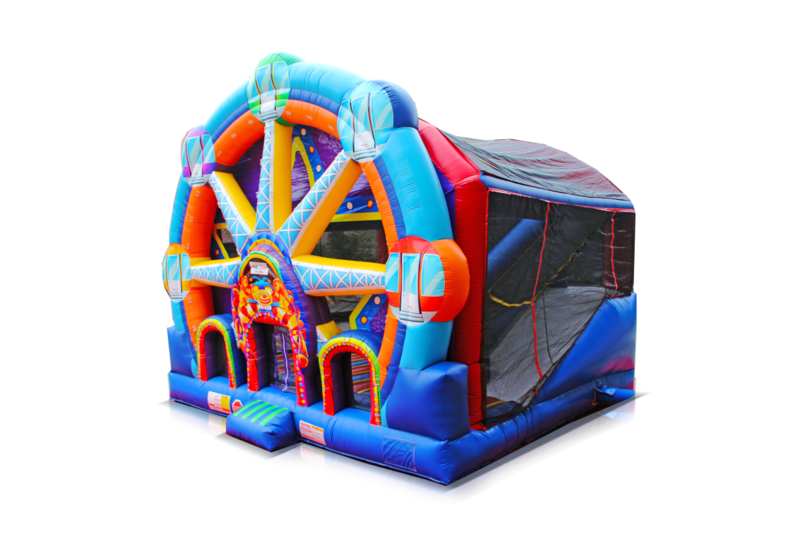 Not only is it a bouncer, it also has obstacles as well as a climb and slide inside. That's not all! On the outside, there is a velcro dart throwing game, wow! 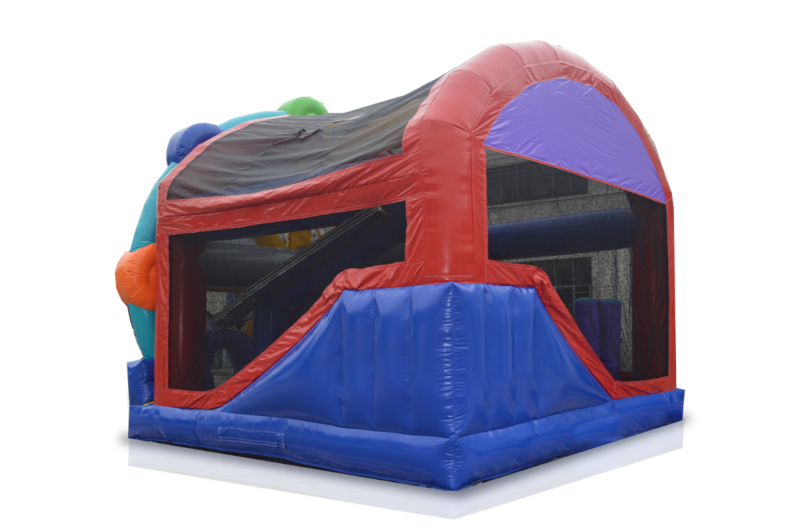 Sure to be a great eye-catching attraction for large events, company picnics, or parties, we guarantee the kids will love it! Note: this is a large inflatable, minimum 4' wide pathway needed to set up.